Rhona featured as the Guest Therapist on Chaya Yoga Detox Spring Retreat. 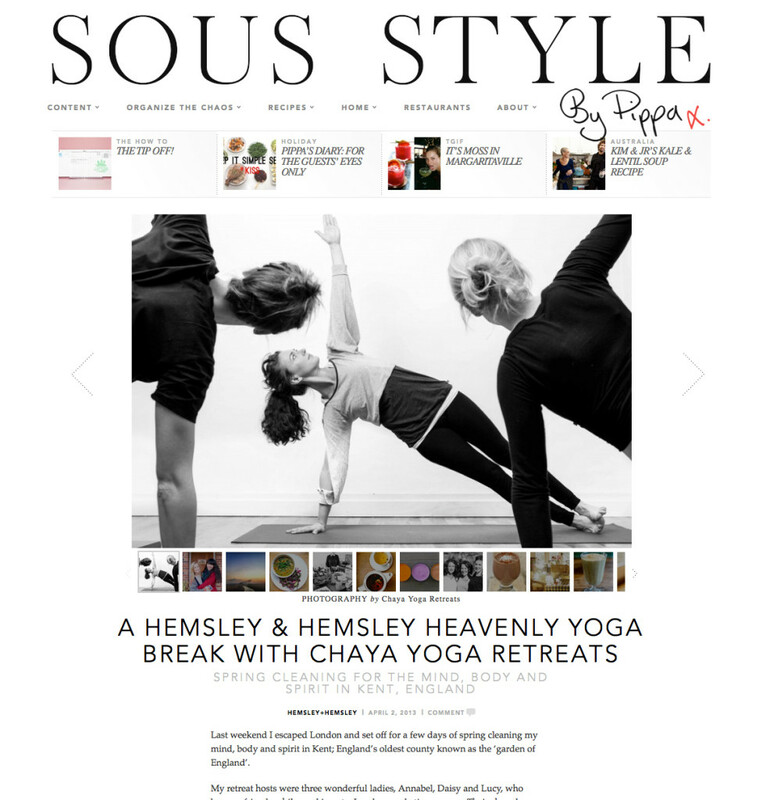 Melissa Hemsley: “Alongside their boutique-lux trips in Bali, Goa and Spain, Chaya Yoga Retreats run a series of short and sweet retreats in Kent where I happily spent my rejuvenating weekend. Taking place within a converted dairy and granary farm house, it’s a quick and easy escape for City dwellers like me taking just 90 minutes from my front door to theirs. Guests enjoyed hands-on healing treatments with Rhona, twice-daily strengthening yoga with Nathalie Mukusheva and detox food from the Chaya Yoga kitchen, including this nourishing hot buckwheat noodle salad by Hemsley + Hemsley. View the full feature by Melissa Hemsley on the Sous Style Website.